Hidden deep in the recesses of the Settings menu is a feature Apple, presumably, wants you to use. 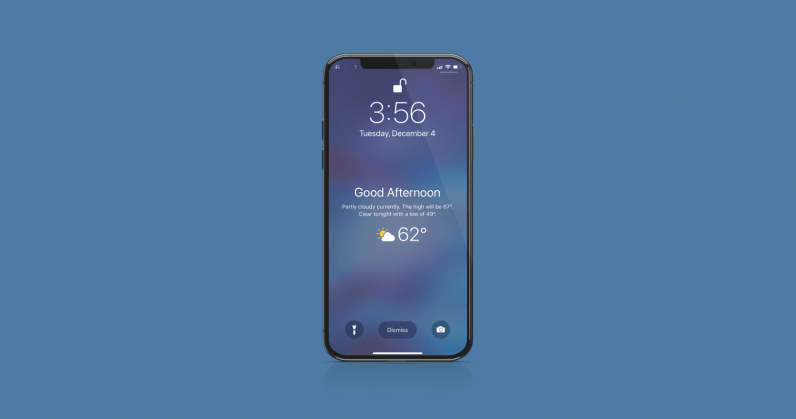 Part of iOS 12, Apple included a fairly basic Lock Screen notification that gives you the day’s weather each morning shortly after you quit hitting the snooze button. The feature is part of Do Not Disturb at Bedtime mode, a setting that keeps pesky calls and texts from waking you during the solid four hours of sleep you manage to pull each night. The forecast will appear each morning, the first time you check your phone, so long as the following settings are enabled. Once you dismiss it, or swipe up, though, the notification is gone. You’ll need to get your weather from Siri or the Weather app, like a plebeian. From the Home Screen (or wherever you keep it), launch the Settings app on your iPhone or iPad. Ensure that Scheduled and Bedtime options are both toggled on. If on, both will be green. While you’re here, go ahead and schedule the Do Not Disturb period — which keeps you from getting notifications during this window each night. Return to the Settings screen and click Privacy. Tap Location Services, and then Weather from the list. Make sure that Weather is always allowed to use location access under Allow Location Access. After exiting the Settings app, not much will change. In fact, nothing happens. But tomorrow morning, when you’re trying to wrangle your “morning face” into something Face ID recognizes, you’ll see that sweet, sweet new Weather notification.